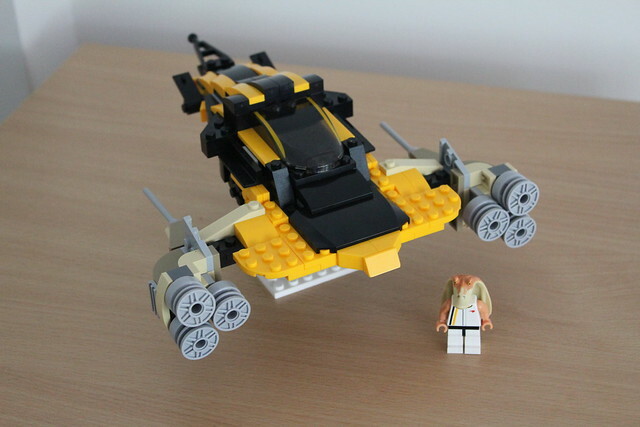 LEGO Star Wars Forum | From Bricks To Bothans • View topic - Star Wars: Evolved Contest Announcement! Star Wars: Evolved Contest Announcement! Re: Star Wars: Evolved Contest Announcement! 30 years after the fall of the Emperor came the rise of the Imperator. The Landspeeder Interceptor has been through the wringer but evolution comes with age. No relation to the A-Wing Interceptor but that ship looks amazing. 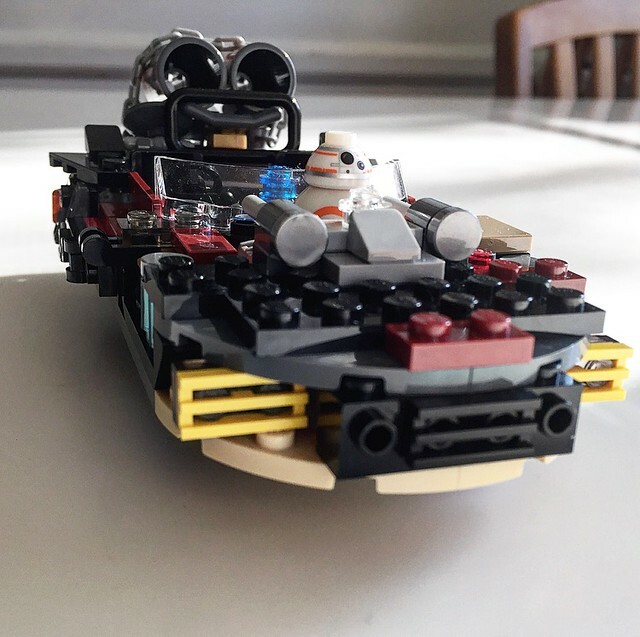 That speeder is awesome! I'm totally getting a Mad Max-like vibe. I'd scatter if I saw that coming towards me! 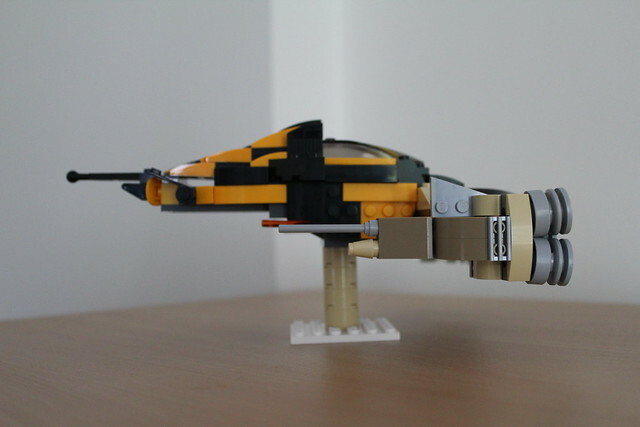 My entry is the Naboo Wasp, an atmospheric fighter used by the Naboo resistance after the fall of the Empire. 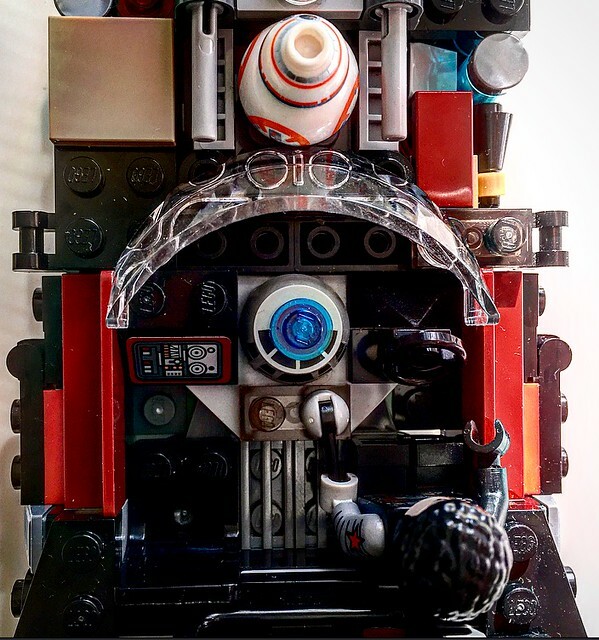 This model was built with only pieces from Lego sets 75909, 60084, 75080 and 60033. "The years following Queen Amidala's reign were unkind to the inhabitants of Naboo and life had been tough under the ruthless rule of the Empire. A collection of natives - both Gungan and human - resisted Imperial occupation, though they were poorly resourced and Imperial manhunts ensured that their numbers stayed low. The fall of the Empire provided an opportunity for the underground resistance to emerge and spark a full rebellion. They launched a guerrilla campaign of hit and run attacks, destroying key communication infrastructure before inspiring the general population to join the uprising. Amongst the rebels' limited fleet was the Naboo Wasp, a small strike fighter that outmanoeuvred the Empire's in fights within Naboo's atmosphere. The craft was inspired by the wasps of the Naboo swamps, tenacious insects that would miraculously evade all attempts to eradicate the hive. 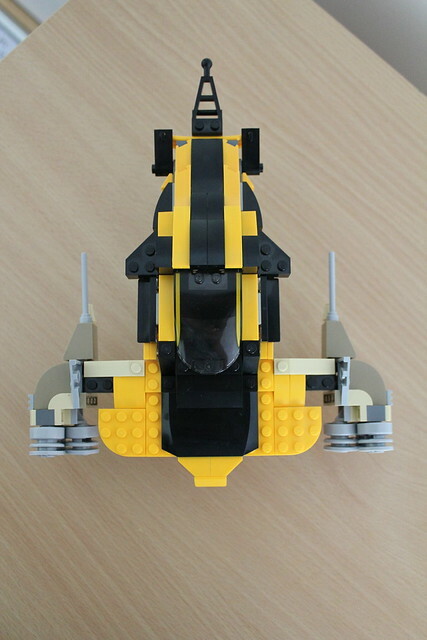 The ship's design was based on the golden-era N-1 Starfighter, though limited resources forced Naboo engineers to build the ship's thrusters using scrap salvaged from the Great Grass Plains." I'd like some clarification about the pilot/driver rule ; let's say I want to upgrade the T-47 Airspeeder, do I have to keep a crew of two, and only two, no more no less !? You can alter the crew as you see fit to meet the needs of the build and your take on the evolution of the ship. 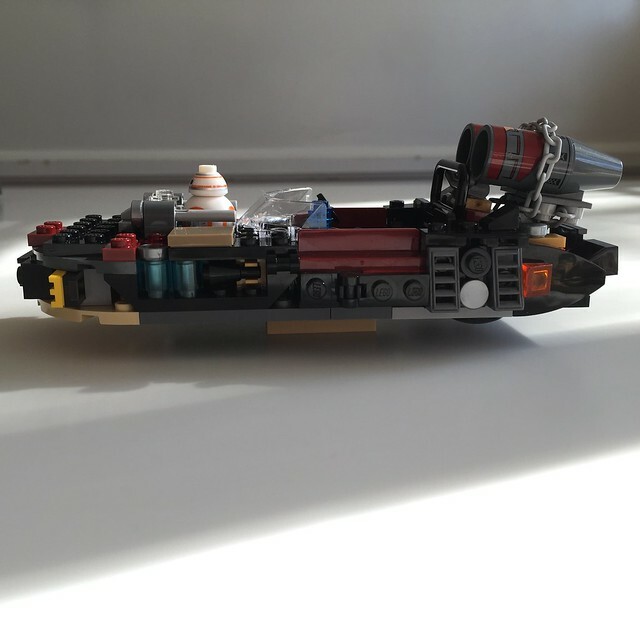 It simply needs to have space for a pilot if the ship had it... but you could expand out (say by turning a Y-wing into a multi-crew bomber, for example). That Wasp definitely looks like a dogfighter! The engines are great. 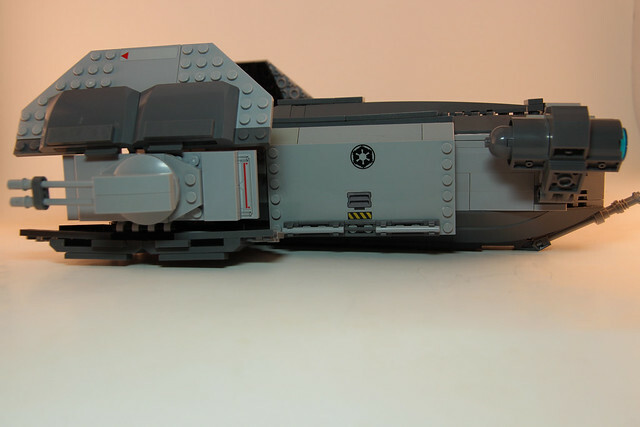 Having it cobbled together from pieces of the old N-1 is exactly what the Rebel Alliance would have done. Nice work! Giving out posters was a pretty good suggestion, so we'll be adding these to the prize lineup. I'll post an official update when I get the prints from Firespray - probably end of this week, maybe early next. We're about at the halfway point and the movie is just coming out so I'd be posting an update soon anyways. Won't be the top 20, but more than the top 3. Stay tuned and happy building everyone. Oh, those look great! That's a nice additional perk! They are not canon, so no. Stick to the core canon for your inspiration: that's the movies and Clone Wars & Rebels TV series. gotcha, will try to get an entry in before vacation. 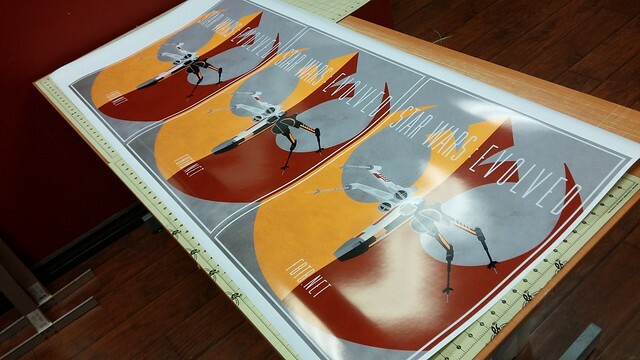 Those posters look pretty darn sweet! 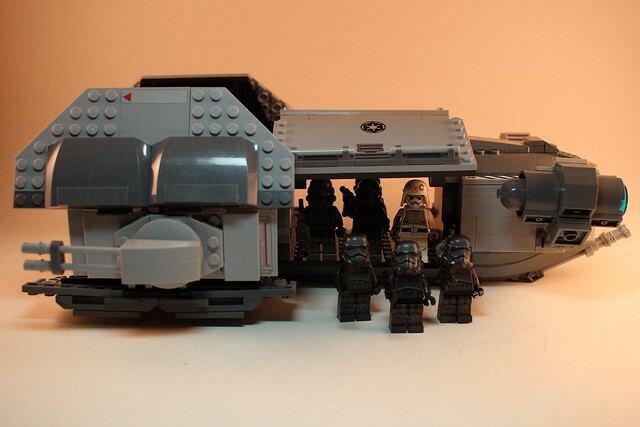 The TIE/ADS (Assault Drop Ship) was designed and built to replace the aging Imperial Patrol Transport which itself had started life as the Republic Police Gunship. 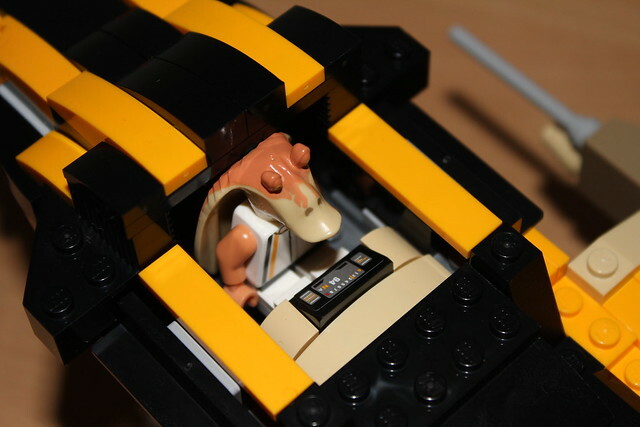 Using of the TIE ball cockpit helped to cut costs and training time. TIE pilot candidates who were not good enough for front line duty were intended to be tapped as the pilot and gunners for the TIE/ADS. 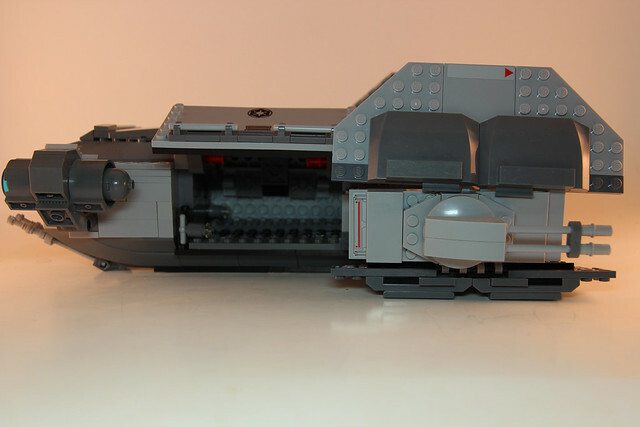 The large, pressurized, dual door bay aft of the cockpit could hold various cargo but was intended to transport Stormtroopers to and from the front lines, from either orbiting Starships or ground based garrisons. 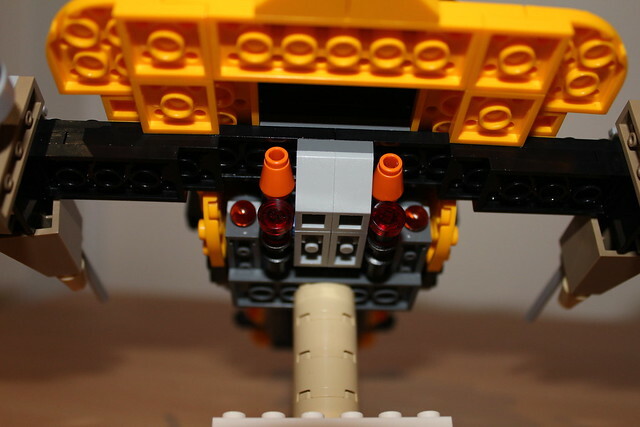 The heavy blaster turrets are controlled from a dedicated gunner in the dual seat cockpit to soften the landing zone before landing and disembarking of its Troops. A double, swing down blaster at the aft of the ship helped to discourage pursuit. The TIE/ADS had a secondary mission of offering Close Air Support (CAS) to ground troops and Evac of injured troops when called for. The development and testing of the TIE Advanced prototype's S-foil configuration helped with enabling the TIE/ADS to use the high efficient solar collector that are one of the hallmarks of the TIE series. With the S-foils closed, the TIE/ADS could be stored in a smaller space than the Sentinel-Class Shuttle while maintaining a similar troop capacity. 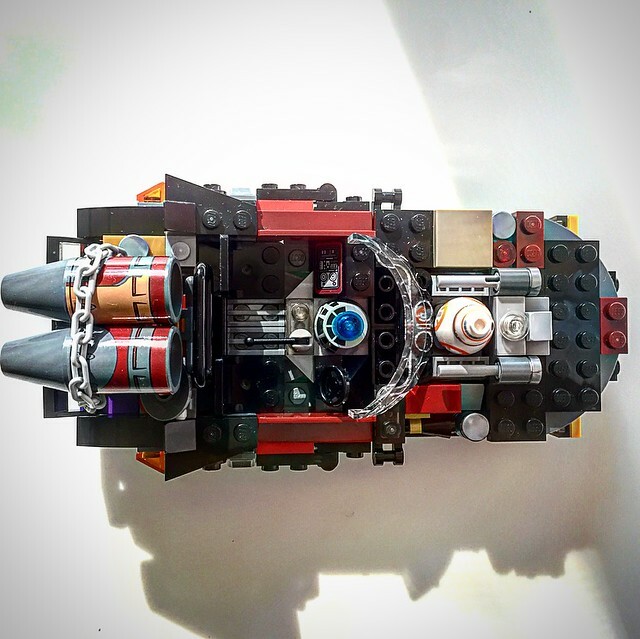 The addition of a optional Class 1 Hyperdrive to this craft increased its versatility enabling the TIE/ADS to reach the far corners of the Empire and execute the Emperor’s will at a moments notice. The TIE/ADS production was about to start when the Empire suffered its defeat at Endor, as such not many were ever produced in the chaotic time that followed. Most were used by Shadowtroopers being deployed by Imperial officials in attempts to consolidate power. Last edited by kevinmboots77 on Mon Jan 11, 2016 11:24 am, edited 8 times in total. Wow! That is great! Nice work! 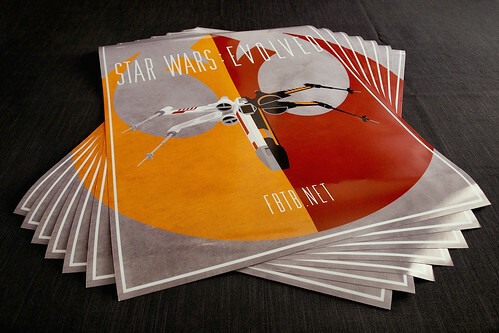 Star Wars: Evolved Contest Update, Now With Posters! Tonight marks the halfway point for our latest contest, and at the request of a few members and with the help of another we've added an additional incentive to the prize pool: now the top seven ranked entries will each receive one of these 18"x24" posters featuring the design from the announcement post. I'm sure you can all figure out why we went with such an odd number of prize slots. 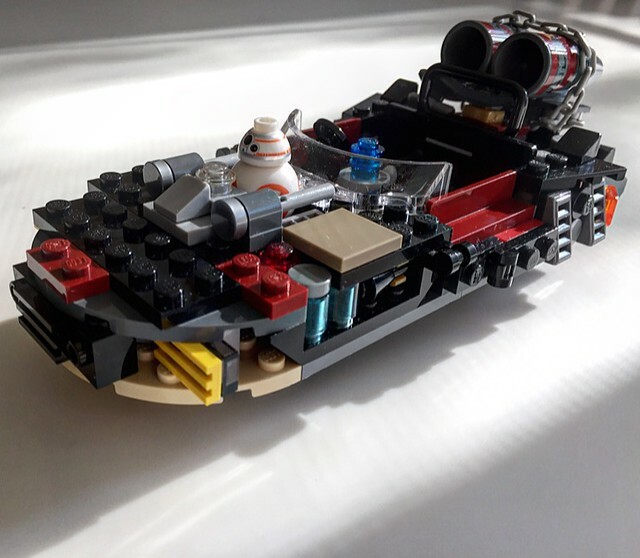 In case you missed the announcement, the challenge is to pick some canon ship or vehicle from before The Force Awakens and put your own spin on it - create an evolved version like what they've done with the X-Wings and TIE fighters now that a few decades have passed in the Star Wars universe. All the specifics can be found here and the deadline is four weeks from midnight tonight (that's 11:59PM PST January 16th 2016). Thanks again to Firespray for providing the prints, and ravingrem for the idea. Good luck builders! 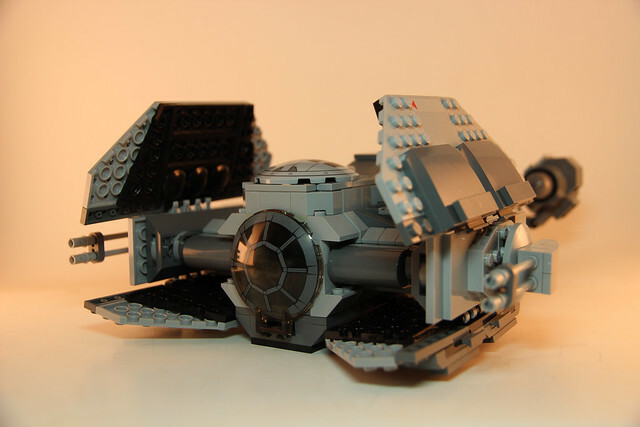 So take a tie advanced and that's ok. And a mod/first order tie interceptor not. Nope, thank you for pointing that out. I didn't remember the TIE Advanced Prototype set when I first saw that entry so it didn't seem like there were any issues, but there clearly is. That entry also doesn't qualify because it's based on an official set. I've contact him so he knows, and posted another update to make that clarification more widely known as well as amended the rules post. Sorry about that guys. 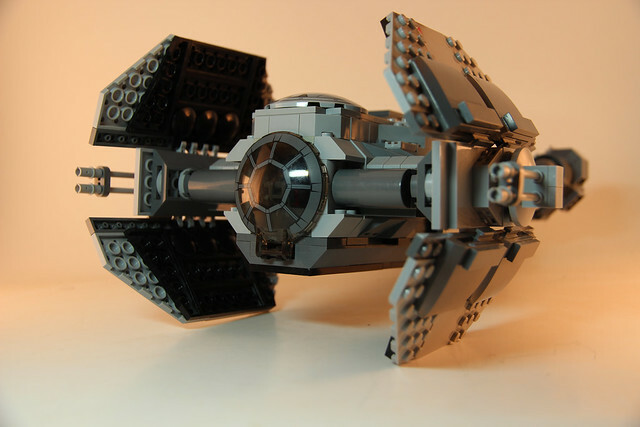 TomGilson wrote: So take a tie advanced and that's ok. And a mod/first order tie interceptor not. I have redesigned it so it does not look like the TIE Advance Prototype. I hope this meets with everyone's approval. What's the likelihood of a new FBTB shirt being sold / offered / given at some point? It's be cool to get something with the "Evolved Starfighters" logo on the back, and the FBTB logo on the front. No plans for that, it would have to be reworked for printing on a shirt and I think there are too many colors in the ship itself to be viable. If the colors were reworked / simplified, I think you could get away with 4 colors. If printed on a gray shirt, there would only be 4 additional colors (white, black, orange, red). Or, it could be printed on a white shirt with 4 colors (ray, black, orange, red), or a black shirt (white, gray, orange, red).